Hello and welcome to the Character Blog Hop! Thanks so much to author Heather Fraser Brainerd for inviting me to join in on the fun. Heather is a co-author with her brother, David Fraser, of the newly released MG paranormal, Shadows of New York. Today I am enlightening you on the main character in my cozy murder/sweet romance, Coda to Murder. My fictional character is Pastor Christine Hobbs. Where and When is the story set? What should we know about (character)? The young woman loves God, her church family, and her position as spiritual leader of the Dayspring Church. Even as a pastor, she struggles like we all do with forgiveness. She finds it nearly impossible to forgive her ex-husband so she can moving on to a better life in Fair Lake. What is the main conflict/what messes up his/her life? Talk about messing up her life and the life of her church, the church's Director of Music was found dead in the church basement. 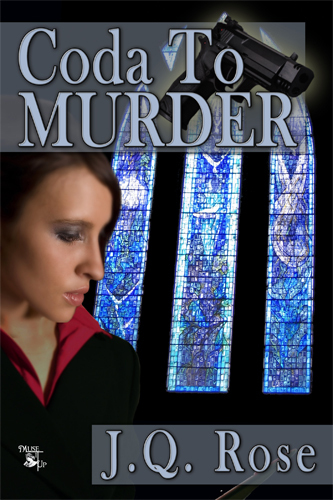 Christine has to prove she has been wrongly accused of the murder. The handsome detective doesn't want her to get away with murder. His investigative methods infuriate Christine as much as his deep brown eyes attract her. What is (character)’s personal goal? Personally she is afraid to give her heart away to a man. She was crushed by her ex-husband and does not want to ever be hurt like that again. And yet, she does yearn to love and be loved by a special guy. Video: Take a peek at the book trailer for Coda to Murder. bn.com and major online booksellers. Roseanne Dowell, and Joan Curtis and meet their characters too. From the books you have read and enjoyed, who would you choose for your favorite character and why? Please leave your answer or comment below. Thanks! Ah, what an intriguing premise! How was the victim killed, and why is she a suspect? And what does a pig and a kangaroo have to do with anything??? Questions, questions, questions! Thanks for sharing and giving more info on your character, J.Q.! Great post about a lovely character from a very entertaining book! Yes, MM, you are full of questions. Better get the book to find out the answers!!! Hi Heather, Thanks. I like your complimentary comment! Thanks for inviting me to play today on the character blog! Anna, It is a fun read.How can it not be with a pig and kangaroo in the story? LOL I like to mix humor with the mystery and romance. Thanks for stopping in. Sounds like a great story. I tweeted and google + it. Hi Roseanne, Thanks! I appreciate the tweet since I'm not a tweeter and googling!